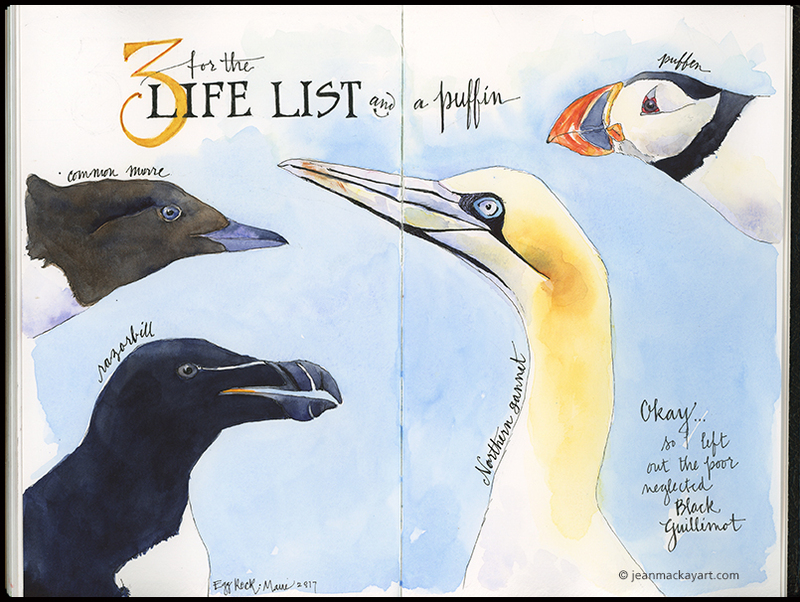 This entry was posted in Journal and tagged Arts and Birding, workshops by Jean Mackay / Drawn In. Bookmark the permalink. Ah the puffin. One day I will see one in “real” life. What an inviting looking and beautifully illustrated announcement! You might really enjoy this program — it’s includes tracks for both photography and sketching/painting. What a nice thought, but it’s unlikely that I will get up to Maine anytime soon (Tho when I lived in upstate New York, New England was right next-door). Do you ever make it to Florida? Haven’t been to Florida in years…but you’re in good birding territory!